You will race across 70 possible tracks with varying terrain. It will have weather effects, day and night races along with multiple different game modes. 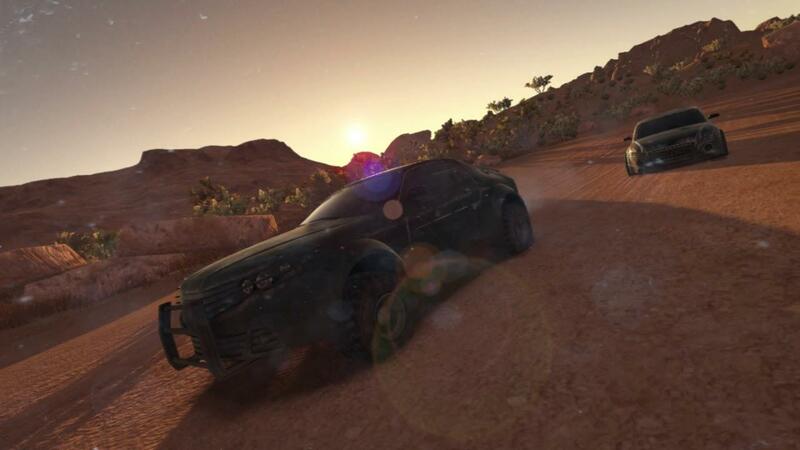 It has a single-player campaign, with upgrades you can unlock for your vehicles as you progress. It will also support online multiplayer for up to 7 people. Yes, of course there will be Linux support. Probably within two or three months. It's going to release on Steam on August 22nd, so keep an eye out for the later Linux release. I still want something similar to the Powerslide racer from 20 year ago. That game had an awesome feel to it. This game looks somewhat in that direction although the tracks aren't quite as crazy. It does look basic, right? I'm still holding out for Drag, but I haven't heard anything for ages - it's been over 6 months when it was "coming soon". Did I miss a release announcement? Quote Yes, of course there will be Linux support. Music to my ears. Let's hope this kind of attitude is a new normal amongst the game developers! But the rest of the game looks kinda empty, unfinished. No idea what engine it uses, but it has that very old "Unity" look, with plain textures and minimal environment details. well, its just 2 guys working on it. It probably had some publishment which is not that simple even these days. Looks like fun to me... I'm pulling the trigger when the Linux version lands!